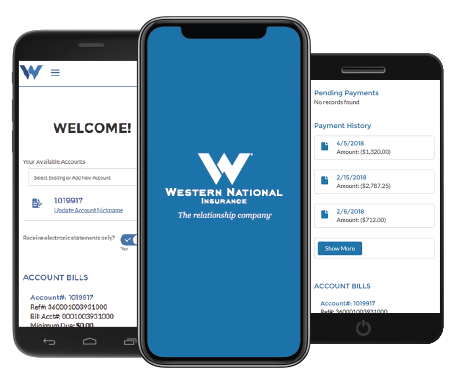 Western National's mobile app, WN Mobile Assistant (now available in iTunes and Google Play), gives you the ability to pay your bill and to access your personal auto insurance ID cards anytime, anywhere. * Combine these features with easy-to-lookup policy and agency contact information, plus helpful roadside assistance tools like the ability to locate your nearest towing service, locksmith, gas station, and more, and you've got another great resource to help protect you on the road. * Digital proof of insurance might not be accepted by law enforcement in your state. Check local statutes for more information.